GET A $1 FIRST TIME CLIENT PET EXAM! 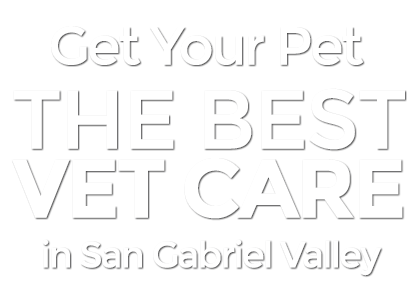 Why Choose All Pets Medical & Surgical Center? At All Pets Medical & Surgical Center, our full-service animal hospital is there in the event your pet experiences a medical emergency. However, we urge our pet parents not to wait until there is a problem before paying a visit to our clinic. Routine checkups are essential to the health of your pet. During your visit, we will examine your dog or cat from head to tail. This allows us to make sure that they are maintaining a healthy weight and evaluate their appearance for problems with their eyes, ears, and teeth. We will also ask you about any concerns you might have about your pet's behavior such as a change of appetite or sudden occurrence of accidents in the house. Sometimes these might be clues that there is an underlining health problem with your pet that you are not aware of. Preventative pet care is a great way to catch small health issues in your pet before they become bigger problems. Our vet clinic provides pet vaccinations all year round. Properly vaccinating your pet is extremely important and will help safeguard them against all types of terrible diseases such as parvovirus, kennel cough, and rabies. Many pet owners mistakenly believe that their pet doesn't need to be vaccinated after their first round of puppy or kitten shots. However, some vaccinations have to be given to your pet as often as once per year. Many pets come into our animal clinic with ailments that could have been avoided through proper vaccination. If you are not sure which vaccines your pet needs, talk to one of our veterinarians about creating a thorough vaccination schedule for your dog or cat. Vaccinating your pet is quick, relatively painless, and can ultimately save your pet's life by protecting them from potentially life-threatening diseases. The health of your pet's teeth is extremely important to the quality of your pet's life. We see many pets come into our animal hospital who are suffering from painful tooth decay. In many cases, the problem becomes so bad that we may have to extract multiple teeth from a patient, which makes it more difficult for them to eat and chew. Remember, your pet uses their teeth in many of the same ways we use our hands. What's more, dental issues in dogs and cats can go on to cause other health problems if left untreated. Gum disease in dogs, for example, has been proven to lead to heart issues down the road. The good news is that it's easy to help your pet maintain a healthy smile for many years to come. Talk to one of our veterinary technicians about ways you can clean your pet's teeth at home, or ask about our professional dental cleaning services. We highly recommend that male pets be neutered. Not only will neutering your dog or cat prevent them from contributing to the thousands of unwanted animals that end up in shelters each year, but it can be helpful to the long-term health of your pet as well. Neutered dogs and cats have much lower instances of cancer than intact pets do. In addition, neutered pets can help you avoid unwanted behaviors such as territory marking and aggression towards other animals. If you're considering having a vet neuter your dog or cat, one of our team members will be happy to explain the entire process to your to make sure that you know what to exact. Neutering is a very low-risk animal surgery that can be done in a matter of hours. In nearly all cases, your pet will be able to go home with you shortly after their procedure is complete. Just as we recommend that all our male patients are neutered, we urge all female pets to be spayed as well. Having a vet spay your female dog or cat will help safeguard them from unwanted pregnancies. As far as pet surgery goes, the process of spaying a pet is very safe. At our dog and cat hospital, we spay hundreds of pets each year. In addition to ensuring that your pet doesn't have an unexpected litter, spaying your dog or cat will also decrease their chances of developing certain life-threatening cancers, such as breast cancer, down the road. This surgery can be done in a matter of hours, and in most cases, your pet can go home with you on the same day. Contact our office today to learn more about spaying your dog or cat at our pet hospital. At All Pets, we are skilled in diagnosing and treating all types of dermatological issues in both dogs and cats. Not all veterinarian offices have the expertise necessary to treat these often-complicated conditions. Just like people, it can sometimes be hard to pinpoint the cause of chronic skin conditions in dogs and cats. In some cases, it can be allergies, while in other cases it is a response to something else in their surroundings. With over forty years of experience, our team of veterinary professionals have the knowledge necessary to get to the bottom of what is causing your pet's dermatological problems. Whether it's medication or a change of diet, we will give you the tools necessary to give your pet the relief they deserve. If your pet is struggling with skin problems, don't hesitate to contact our office to schedule an appointment today. Older pets often have very specialized medical requirements. As your pet gets older, you may begin to notice that they don't engage in their normal activities. It's not uncommon for pet's eating habits to change as they get older or for them to be less inclined to engage in playtime. Sometimes this may be due to an underlying health problem, such as arthritis. In other cases, our pets merely slow down as they get older. For many of our pet parents, watching their beloved pet get older can be trying. However, with routine visits to your local veterinarian at All Pets, we can help you prevent some of the common issues that plague older pets. Our team of practiced veterinarians can give you the knowledge and guidance you need to help your pet live a long, healthy, and happy life. Tumors are not uncommon in dogs and cats, especially if they are older. Feeling a unusual lump underneath your pet's skin can be a scary discovery. In many cases, these masses are harmless and don't require removal, unless they are in a place where they are causing your pet discomfort. However, there are unfortunately cases where cancer does occur in dogs and cats. Many veterinary clinics are restricted in the types of treatment they can offer pets with cancer. However, because our animal hospital has a full-service surgical center, we are able to explore many different methods of treatments for a cancer diagnosis. Our knowledgeable and caring staff will do everything in their power to make the treatment and recovery process as easy as possible for both you and your pet. Cardiac issues in dogs and cats can occur for several reasons. In some cases, your pet may simply have been born with a heart defect. In other cases, pets can develop heart conditions later in life. While we may not always understand how our pets develop heart problems, no one is more equipped to treat animal heart disease than the team at All Pets. There may not be a cure for canine heart disease, but with proper treatment, your pet can still enjoy a comfortable, active life for much longer than if their condition were to go untreated. Apart from high-quality veterinary services, we also offer grooming at our clinic. Grooming is helpful for all pets no matter their size or what type of coat they have. Whether your pet needs a straight forward nail trim, or if they need a complete bath and cut, our team of expert groomers is standing by to give your four-legged companion the VIP treatment. Even if your pet has not enjoyed getting groomed in the past, our team of expert groomers have the experience necessary to help your pet relax and enjoy being pampered. Contact our office to schedule your pet's grooming service today. At All Pets Medical & Surgical Center, our full-service animal hospital is there in the event your pet experiences a medical crisis. However, we urge our pet parents not to wait until there is an issue before paying a visit to our office. Regular checkups are essential to the health of your pet. During your visit, we will examine your dog or cat from head to tail. This allows us to make sure that they're keeping a healthy weight and evaluate their appearance for issues with their eyes, ears, and teeth. We will also ask you about any concerns you might have about your pet's behavior such as a change of appetite or sudden occurrence of accidents in the house. Sometimes these might be clues that there is an underlining health problem with your pet that you're not aware of. Preventative pet care is a great way to catch small health issues in your pet before they become bigger problems. Our vet clinic provides pet vaccinations all year round. Correctly vaccinating your pet is extremely important and will help safeguard them against all types of terrible diseases such as parvo, kennel cough, and rabies. Many pet owners mistakenly believe that their pet doesn't need to be vaccinated after their first round of puppy or kitten shots. However, some vaccinations have to be given to your pet as often as once per year. Many pets come into our animal clinic with ailments that could have been avoided through proper vaccination. If you're not sure which vaccines your pet requires, talk to one of our veterinarians about creating a thorough vaccination schedule for your dog or cat. Vaccinating your pet is quick, relatively painless, and can ultimately save your pet's life by protecting them from potentially life-threatening diseases. The health of your pet's teeth is extremely important to the quality of your pet's life. We see numerous pets come into our animal hospital who are suffering from painful tooth decay. In many cases, the problem becomes so bad that we may have to extract multiple teeth from a patient, which makes it more difficult for them to eat and chew. Remember, your pet uses their mouth in many of the same ways we use our hands. What's more, dental issues in dogs and cats can go on to create other health problems if left untreated. Gum disease in dogs, for example, has been proven to lead to heart problems down the road. The good news is that it's simple to help your pet maintain a healthy smile for many years to come. Talk to one of our veterinary technicians about ways you can clean your pet's teeth at home, or ask about our professional dental cleaning services. We highly recommend that male pets be neutered. Not only will neutering your dog or cat stop them from contributing to the thousands of unwanted animals that end up in shelters every year, but it can be helpful to the long-term health of your pet as well. Neutered dogs and cats have much lower instances of cancer than intact pets do. In addition, neutered pets can help you prevent unwanted behaviors such as territory marking and aggression towards other animals. If you are considering having a vet neuter your dog or cat, one of our team members will be happy to explain the entire process to your to make sure that you know what to exact. Neutering is a very low-risk animal surgery that can be done in a matter of hours. In nearly all cases, your pet will be able to go home with you shortly after their procedure is complete. Just as we recommend that all our male patients are neutered, we encourage all female pets to be spayed as well. Having a vet spay your female dog or cat will help protect them from unwanted pregnancies. As far as pet surgery goes, the process of spaying a pet is very safe. At our dog and cat hospital, we spay hundreds of pets each year. Aside from making sure that your pet doesn't have an unanticipated litter, spaying your dog or cat will also decrease their chances of developing certain life-threatening cancers, such as breast cancer, down the road. This surgery can be done in a matter of hours, and in most cases, your pet can go home with you on the same day. Contact our office today to learn more about spaying your dog or cat at our pet hospital. At All Pets, we are skilled in diagnosing and treating all types of dermatological issues in both dogs and cats. Not all veterinarian offices have the expertise necessary to treat these often-complicated conditions. Just like people, it can sometimes be difficult to pinpoint the cause of chronic skin conditions in dogs and cats. In some cases, it can be allergies, while in other cases it is a reaction to something else in their surroundings. With over forty years of experience, our team of veterinary professionals have the knowledge necessary to get to the bottom of what is causing your pet's dermatological problems. Whether it's medication or a change of diet, we will give you the tools necessary to give your pet the relief they deserve. If your pet is struggling with skin problems, don't hesitate to contact our office to schedule an appointment today. Aging pets often have very specific medical requirements. As your pet gets older, you may start to notice that they don't engage in their normal activities. It's not uncommon for pet's eating habits to transform as they get older or for them to be less inclined to engage in playtime. Sometimes this may be due to an underlying health problem, such as arthritis. In other cases, our pets merely slow down as they get older. For many of our pet parents, watching their beloved pet get older can be difficult. However, with routine visits to your local veterinarian at All Pets, we can help you avoid some of the common issues that plague older pets. Our team of experienced veterinarians can give you the knowledge and guidance you need to help your pet live a long, healthy, and happy life. Tumors are not unusual in dogs and cats, especially if they are older. Feeling a unusual lump underneath your pet's skin can be a scary discovery. In many cases, these masses are benign and don't require removal, unless they are in a place where they are causing your pet discomfort. However, there are unfortunately cases where cancer does occur in dogs and cats. Many veterinary clinics are restricted in the types of treatment they can offer pets with cancer. However, because our animal hospital has a full-service surgical center, we are able to explore many different avenues of treatments for a cancer diagnosis. Our knowledgeable and compassionate staff will do everything in their power to make the treatment and recovery process as easy as possible for both you and your pet. Heart issues in dogs and cats can occur for many reasons. In some instances, your pet may simply have been born with a heart defect. In other cases, pets can develop heart conditions later in life. While we may not always know how our pets develop heart problems, no one is more equipped to treat animal heart disease than the team at All Pets. There may not be a cure for canine heart disease, but with proper treatment, your pet can still enjoy a comfortable, active life for much longer than if their condition were to go without treatment. Aside from high-quality veterinary services, we also offer grooming at our clinic. Grooming is beneficial for all pets no matter their size or what type of coat they have. Whether or not your pet needs a simple nail trim, or if they need a complete bath and cut, our team of expert groomers is standing by to give your four-legged companion the VIP treatment. Even if your pet has not enjoyed getting groomed in the past, our team of expert groomers have the experience necessary to help your pet relax and enjoy being pampered. Contact our office to schedule your pet's grooming service today.